Nurses spend lots of time on the telephone. So much, that I believe How to Give Good Phone should be taught in nursing school as a subtopic of therapeutic communication. For the rest of us, here’s a crash course developed over the years. Sender. Nurses call other departments for a variety of reasons. We call material supplies requesting special bio-occlusive dressings for patients with adhesive allergies. We call the pharmacist with questions about unfamiliar medications. We call physicians requesting new orders when a patient isn’t doing so well. Receiver. Nurses also receive phone calls. Physicians call to admit patients. The lab calls, announcing we didn’t send the blood tests in the right colored tubes, and they need to be redrawn. Message. Clarity begins with the sender. 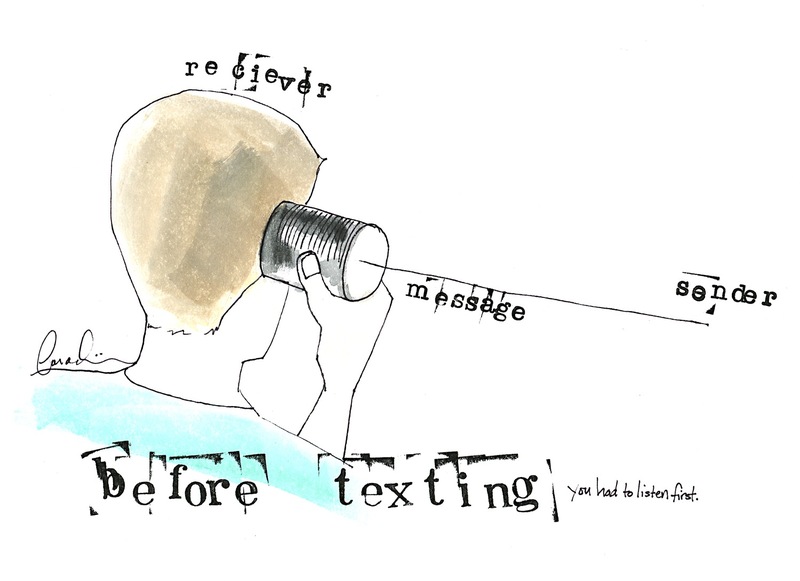 Intuitively, message should be the simplest part of the communication process, but in fact it is often the most difficult, especially over the phone, where visual information is lost to the sender, the receiver, or both. This loss of visual information is what makes reading back a telephone order by a nurse to a physician a critical component of that type of communication. Here’s another example: you’re calling in a hemoglobin value to the physician. If the lab value indicates borderline for anemia, but you strongly feel the patient would benefit from a transfusion, you would want to include the subjective symptoms you see at the patient’s bedside: headache, shortness of breath on exertion, and increased fatigue. Knowing that you are going to suggest a transfusion for this patient based his clinical assessment before pushing the phone number keeps the message on track and focused on the patient. I’ve been the sender of a message to a receiver (not a physician), who appeared confused about our roles. She did all the talking. This obstructed my message. Perhaps anxiety caused her to blurt out lengthy commentary irrelevant to the subject of the call, I don’t know. I let her talk until she needed to take a breath, then interjected, “May I give you more information?” each time this occurred, until finally my message was delivered, and we got to work on the real problem. Why would I devote so much time to this phone call? Because I needed the services of the receiver on the other end of the phone. Interrupting her abruptly to tell her how busy I am, using a smug tone of voice, or getting angry would simply slow down progress, and patient care. Giving good phone requires a purpose, an intended outcome, and patience. What is your biggest peeve about telephones at work? How does your unit help patients seeking information by telephone? A version of this post was previously published on TheONC.org. This entry was posted in Help for New Grads, Nursing Lifestyles, Posts About Nursing, Precepting and tagged communication, effective communication, message, nurse blogs, nursing school, patients, physicians, receiver, sender, therapeutic communication, you lost my mother? by jparadisirn. Bookmark the permalink.